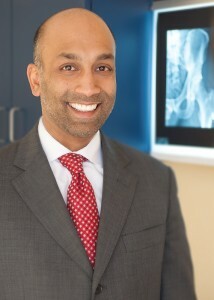 Balu Natarajan, M.D. is Board Certified in both Internal & Sports Medicine. He is a Diplomate of the American Board of Internal Medicine. Dr. Natarajan received his undergraduate degree at Northwestern University and chose to study medicine at Northwestern Medical School. After residency, he completed a sports medicine fellowship in Minneapolis, MN where he focused specifically on work with high school and college area athletes. In addition, he serves on the Medical Team of the Chicago Marathon and has extensive experience with patients preparing for endurance events. He also serves as team physician for the Chicago Storm and traveled to Brazil with the US World Cup Beach Soccer Team. As both an internist and Sports Medicine specialist, Dr. Natarajan treats adolescent and adult patients. Because of his dual specialties, he is particularly qualified to treat “the whole patient” including diabetes, abdominal pains and asthma in athletes. Dr. Natarajan began his solo practice in 2003. He was born and raised in Chicago and is, himself, a runner and recreational athlete. Dr. Natarajan enjoys his work most when he is treating everyday patients who are focused on achieving a life long goal of running a marathon or simply looking to create and maintain a healthy lifestyle. Dr. Natarajan’s philosophy on sports medicine is to work with the patient so he or she may achieve his or her goals and continue to enjoy the activities that bring him or her joy.